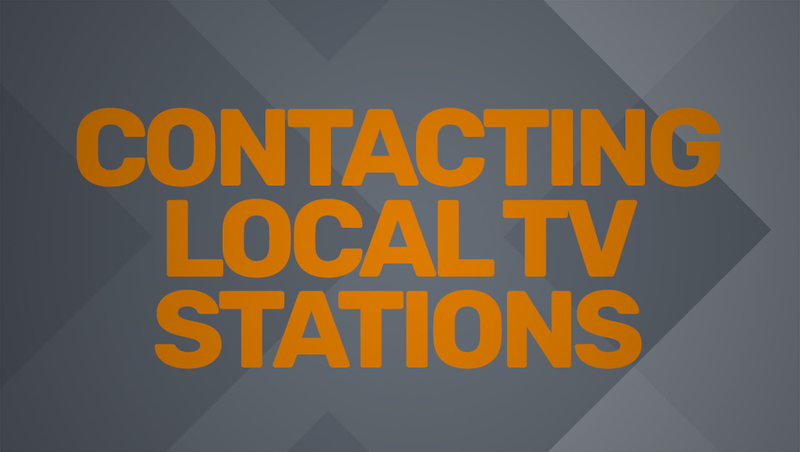 To contact a local TV station with news tips, story suggestions or complaints about coverage, you will need to locate the station’s phone number, email address or mailing address. Visit the station’s website and look for a “Contact” or “About” page or section. Often this will be in the main navigation or near the bottom of the page. To locate a local TV station’s website, try searching for its call letters or name in a search engine. Use the business listings in an online or printed telephone directory. Look under the station’s name or call letters. Alternatively, you may be able to contact a station or reporter via social media accounts, such as Facebook Messenger or Twitter Direct Messages. However, please be aware that not all stations or reporters have this ability enabled and, even if they do, they may not check these inboxes regularly. Making threats, whether serious or not, to TV stations or other media outlets or their employees can be a serious crime. Most media outlets take such threats seriously and they will be reported to law enforcement. This post was last updated November 16, 2018 and, although it was believed to be accurate at that time, this information may have changed since this time. Although reasonable efforts are made to ensure the accuracy of this answer, it cannot be guaranteed and you are encouraged to verify any details independently. What time did the Kavanaugh hearing TV coverage end? Is Lester Holt related to Stefan Holt? How can I contact a TV network's news department? Where does 'Chicago Med' film? How are NBC's New York City studios numbered? How can I contact a TV network?